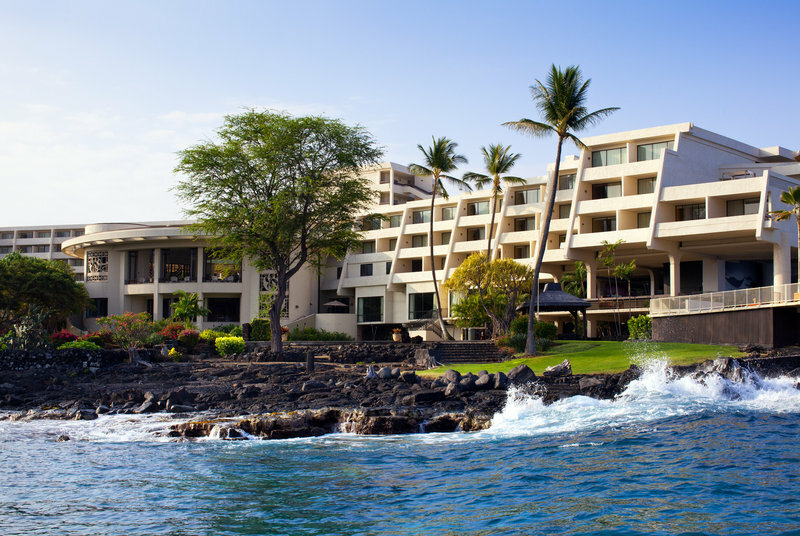 Check Rates & Availability at Sheraton Kona Resort & Spa At Keauhou Bay! With an unmatched location on the iconic lava rocks of the Big Island's Kona Coast, Sheraton Kona Resort & Spa at Keauhou Bay offers a captivating blend of adventure, culture, heritage and authentic Hawaiian hospitality. Nestled atop the lava rock cliffs of the Kona Coast, our ocean side retreat overlooks Keauhou's giant manta ray coastal feeding grounds and is minutes from Kona Coffee farms, a short drive from snorkeling in Kealakekua Bay and the closest resort to Volcanoes National Park. Embrace island life in our oceanfront pool, at Ho'ola Spa, or via watersports and traditional Hawaiian activities, such as snorkeling in the bay, cultural tours, and hula lessons. Gather for an unforgettable meal at our signature restaurant, Rays on the Bay. Perched on the dramatic black lava rocks of the Kona Coast, it pairs locally sourced, fresh cuisine with an easy-going island ambiance and unbeatable location. We invite you to take a break from your own poolside makahiki (party) and cool off with one of Holua Poolside Bar's signature cocktails. Relax and enjoy crisp salads, delicious wraps and fresh catch of the day sandwiches. The Story of Haleo - the Voice of Life, celebrates the history of the ahupua'a called Keauhou, and the heart of those who came from this land area. From the birth of Kamehameha III to the surfing stories of He'eia Bay, the entertainment is stunning. Elevate your travel experience with the addition of the Kaiulu Club Lounge. Ideally situated overlooking the iconic cliffs of Keauhou, guests will enjoy exclusive benefits including continental breakfast, evening pupus served with wine and beer.